Okay, so I have a mesh that has a tail so I googled how to rig the tail and it said to use a Spline IK restraint. 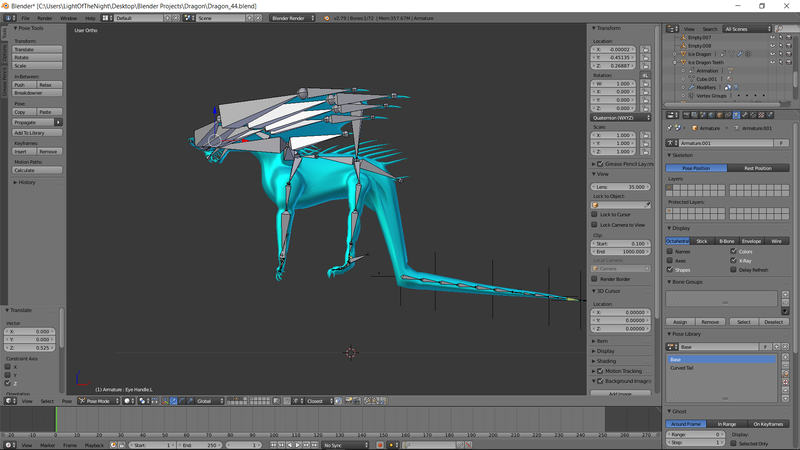 I built the spline on the bones of the tail and now when I move the whole armature, the bones connected to the Spline IK do not follow. 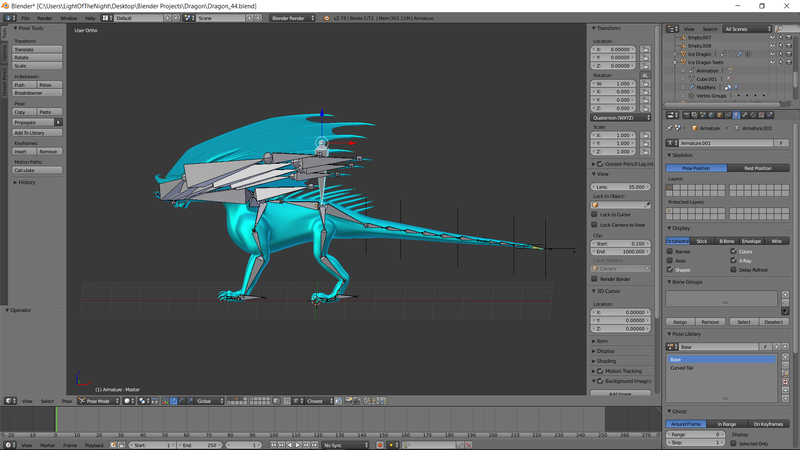 The picture shows that when I move the armature, the tail bones do not follow. This situation is a problem. 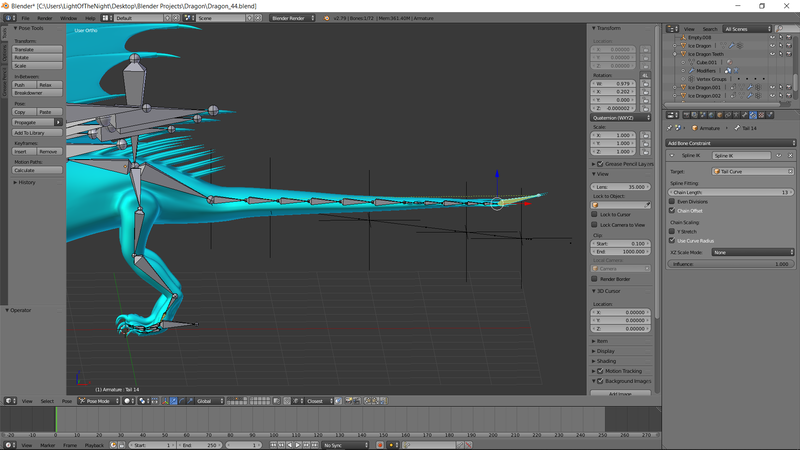 I am rigging this dragon for school. I am down to a couple days to finish this but I am having issues. 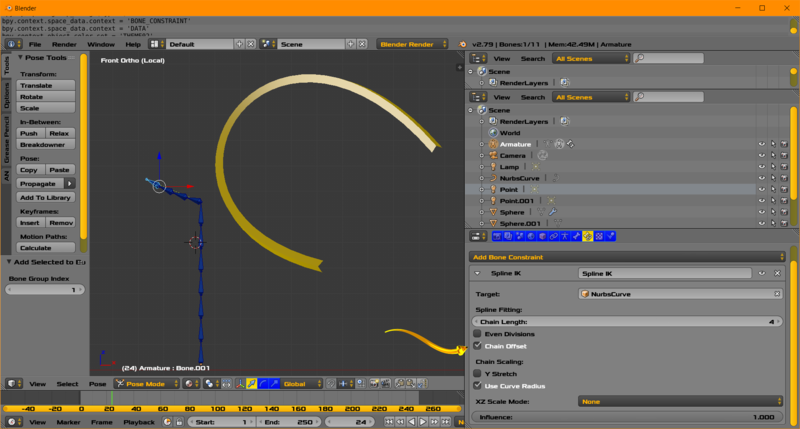 When I move the master bone of the armature, the spline IK I made does not follow. Why does this happen? Consider using the Chain Offset feature as enabled . This is indicated by the yellow arrow. Please know there is a technique in modeling with regular IK constraint where there are 3 models. Model 1 tweens or has a linear interpolation of the other two models. Bones capture rotation, so rotation can be interpolated. Depending on your level of experience and patience this technique can be appropriate or in appropriate. Bones can have a copy rotation constraint. Not the answer you're looking for? Browse other questions tagged bones splines or ask your own question. Why do some bones in this rig only update their position correctly when I press G?